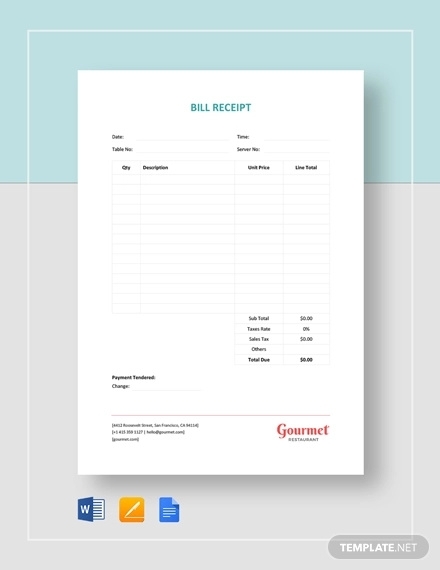 A receipt example is considered to be one of the main documents in accounting and any company engaged in any form of business or enterprise. Receipts are evidence of a sale or transaction and it aids a business in keeping track of their expenditure and investments. Examples shown in the page help set up receipt for payments or sales purposes. All samples are available for download by clicking on the download link button below the sample. 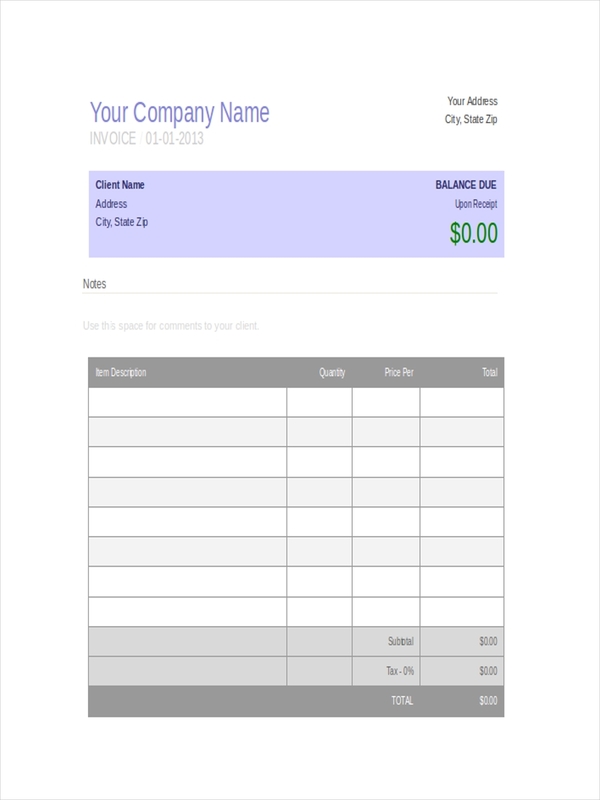 Scroll down to view more samples to further assist in providing additional information in making a receipt for your business or personal needs. What Is a Bill Receipt? 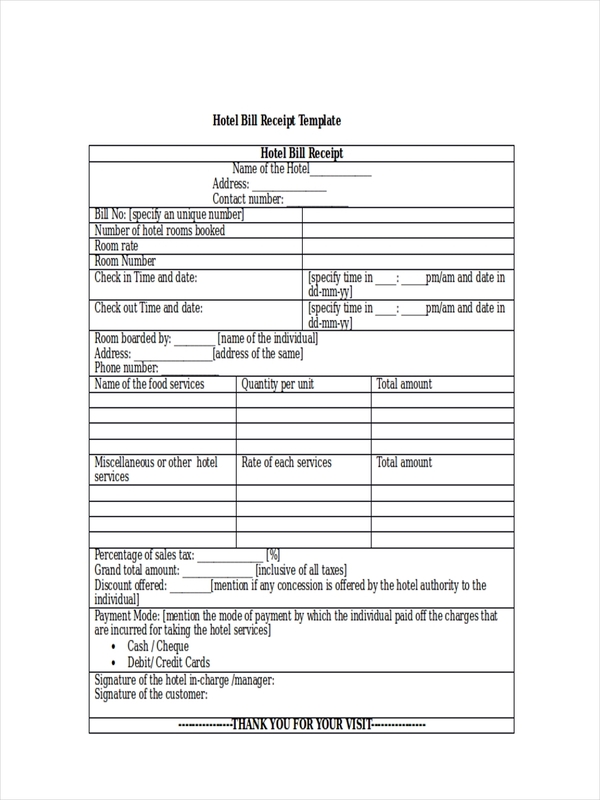 A bill receipt is simply a receipt or evidence of receiving a bill. It provides physical evidence of that transaction and additional information or details pertaining the said transaction. 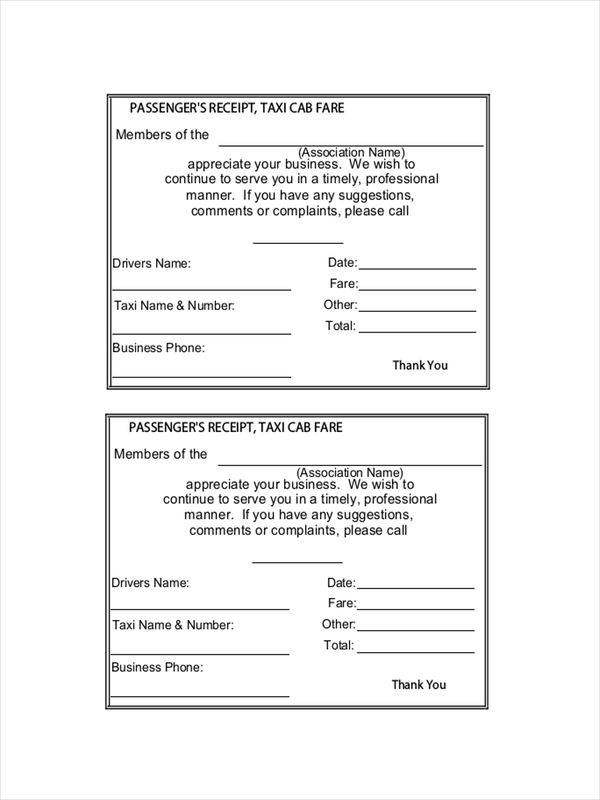 Free receipt examples in the page further explain how a receipt looks and should be made. 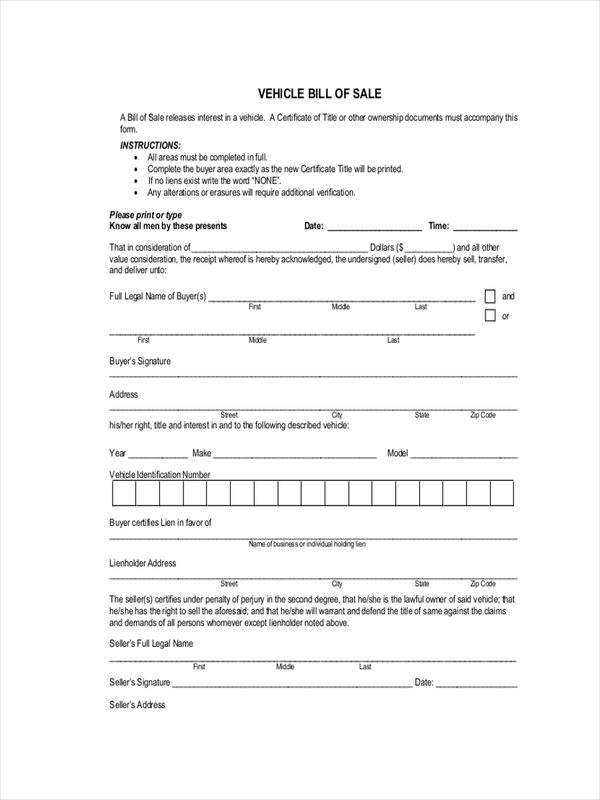 Name, address, and contact information of institution or company the bill is from must be clearly indicated. The list of items, products, or services offered must be present. Pricing for each item or service should be indicated. Discount should also be shown to applicable items in the list and to the whole lot. Inclusion of additional charges should be clearly seen such as shipment or delivery fees. Total amount of the sale. The warranty and terms of a sale needs to be mentioned in order to facilitate future claims against the warranty and the sale. 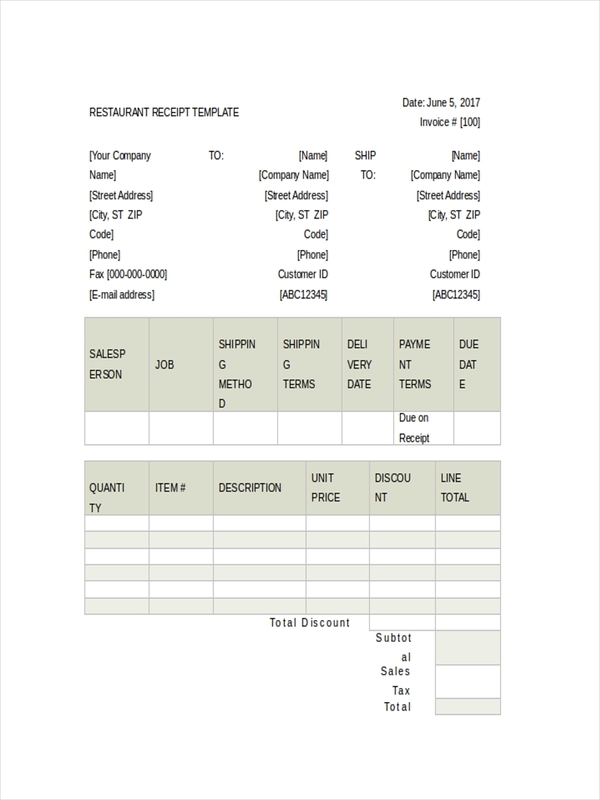 Receipt examples in Excel can be made after going through the samples found in the page. All of the samples are made available for download by clicking on the download link button below the file. Having an official receipt to represent your payment or evidence of a sale further legitimizes the sale or transaction. These records can be referenced to at any point during the business and serve as proof or existence of such transactions or transaction claims. Accounting keeps track of all recorded transactions in a company. All accounting records are supported by the existence of recorded transaction using the bill receipt. As from the previous statement, taxes effectively are lowered since claims are deducted from sales which lowers the net income. Due to being able to keep track of almost all transactions in a business, it minimizes the risk of getting an audit. Proper filing of taxes are done due to having receipts for transactions. 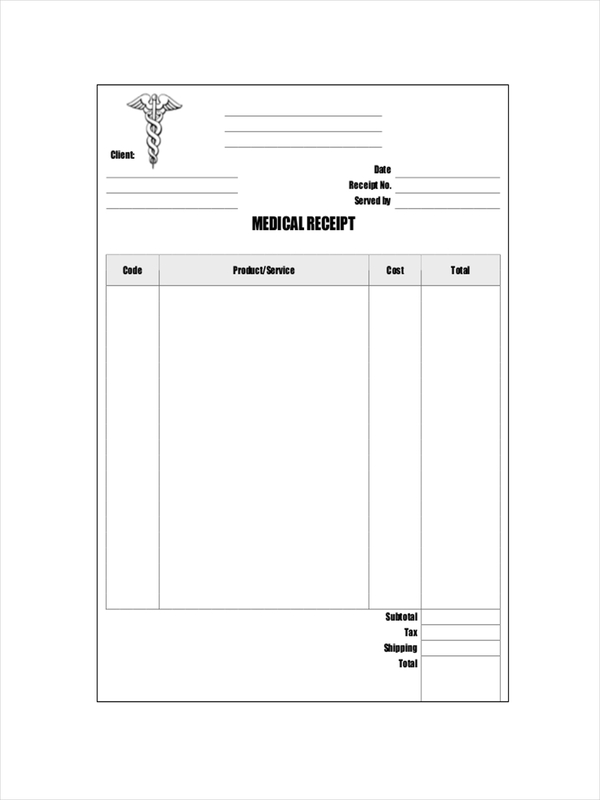 Sample receipt and blank receipt examples on the page can further assist in providing more information regarding the making of a receipt. Have a look around for that perfect example you have been looking for.